The Irrigated Lands Regulatory Program requires farmers to report fertilizer applications of nitrogen and on-farm practices related to irrigation and fertilizer use. 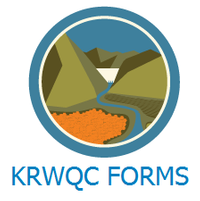 The required forms including the Farm Evaluation Survey and the Nitrogen Management Plan and Summary Report are available on the Kings River Water Quality Coalition (KRWQC) Resources page. KRWQC collects data from individual farmers and submits a report to the Central Valley Regional Water Quality Control Board. 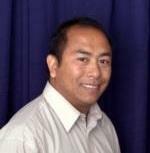 If you are not a member yet, you can complete the membership form and submit it to KRQWC. If you are renting land, check with your landlord to see if they have already enrolled the parcel of land you are farming. Use this Excel spreadsheet to calculate the amount of nitrogen applied to your farm last year. Enter the number of acres and the amount of each type of fertilizer you used last year. The form will tell you where to enter this information for Actual N in Box 16 and Box 17 of the Nitrogen Management Plan. Add these two numbers together for Box 25 (Total N Applied and Available).